Trent Reznor is offering yet more digital gifts from his Nine Inch Nails today, with the technology-loving DIYer giving fans the chance to download high-def video footage from the band's recent Light the Sky tour. However, if you want the vids, you better have a lot of extra storage space handy. There's apparently 400 GB of the stuff. 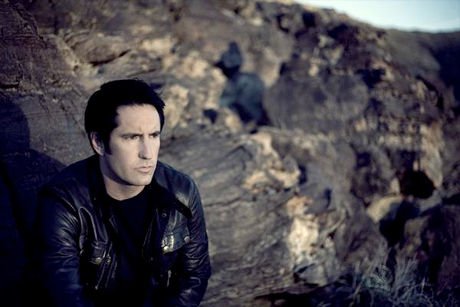 "The internet is full of surprises these days," Reznor writes on NIN's website. "I was contacted by a mysterious, shadowy group of subversives who SOMEHOW managed to film a substantial amount (over 400 GB!) of raw, unedited HD footage from three separate complete shows of our Lights in the Sky tour. Security must have been lacking at these shows because the quality of the footage is excellent. "If any of you could find a LINK to that footage I'll bet some enterprising fans could assemble something pretty cool. "Oh yeah, you didn't hear this from me." The shows up for grabs via the band's website are a December 5 concert in Victoria, BC, one in Portland, OR, from December 7, and another in Sacramento, CA, from December 12. And yeah, since the footage from each concert is raw and unedited the files are huge and may take you days or even weeks to download, so you better have a lot of patience to go with that free storage space.